This pose is a wonderful way to connect to your partner. Boat pose strengthens our core muscles, gives us balance and stretches our legs. As with any balance pose, focus, breathe and move slowly, one step at a time. Remind each other you are here to help. It can be tempting to rock the boat or tip over, so breathe together and if you fall, roll and laugh then try again! We all feel the boat rocking from time to time, but the key is to breathe and focus till the water becomes calm again. Sit up tall on your bottom facing one another with your knees bent, touching toes to toes and hold hands. Lift one foot up and press into your partners foot, sole to sole. Lifting your legs between your arms and balance. Then connect the other two feet together, lift and balance. Take a big breath in and draw your tummy towards your spine to activate your belly muscles and breathe out. Now you are balancing with the help of your partner and if it feels ok for your body, you can straighten your legs a little more. Keep holding onto each other tightly. Be sure to stay afloat for as long as you can! Talk to your partner and tell them when you are ready to come down. Together make the slow transition out of the pose, let go of your partners hands and let your feet release to the floor. You did it, double boat pose! Next time try different positions with your legs to create different kinds of boats. 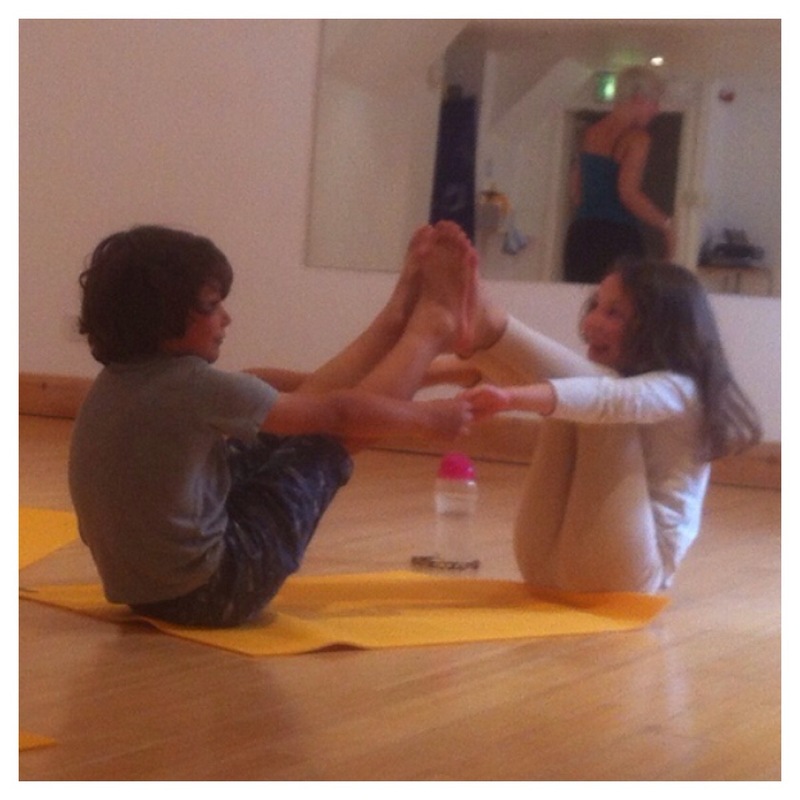 Kids Yoga Cornwall yogis always work as a team! Continue to encourage one another and do your very best.